If you like Sock Monkeys then you will love this gift guide. Today's blog post offers an amusing story from the point of view of a little sock monkey written by Natalia, age 10. She loves sock monkeys. Every Christmas, we like to add a little something to her collection. I can’t believe how interesting my life as a lost sock monkey has been. First, my owner Natalia’s sister was sleepwalking in her room and picked me up and flushed me down the toilet! My journey began when I flowed down the sewage pipes and ended up in a storm drain in India. I took a quick shower and tried to catch the next plane back to Maryland. I bought the ticket and got on the plane, but the plane made a crash landing in France. Although I wasn’t hurt, I was really mad that I wasn’t home so I ran up to the pilot and punched him in the leg because that’s as high as I could reach. After that, I ran to the airport in Paris and tried to buy another ticket to Maryland and luckily, I did. Finally, I was on the second plane, but it’s the same pilot I had punched, so he threw me out the window and I ended up in Canada. I decided to enter a long distance race that ended in D.C. Once I was in Washington, I caught a cab home. Finally, I made it home. Sadly, when I arrived home, the dog picked me up with his mouth by the arm, but I didn’t even care. When he dropped me, I ran up to Natalia. I missed her so much that I literally cried a river. She missed me too and put me in her backpack and took me with her everywhere to keep me safe. So you can see that I had a pretty weird journey, but I collected a lot of stamps on my passport. 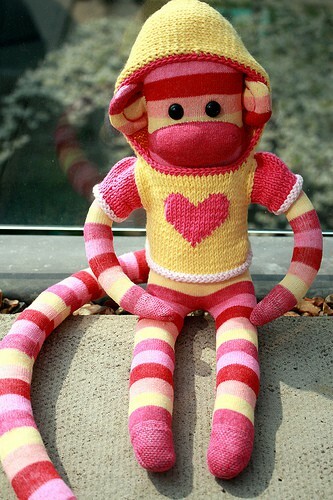 Does someone you know love sock monkeys? Here are some fun gift ideas for all ages. I especially love the craft kit from Paper Source! 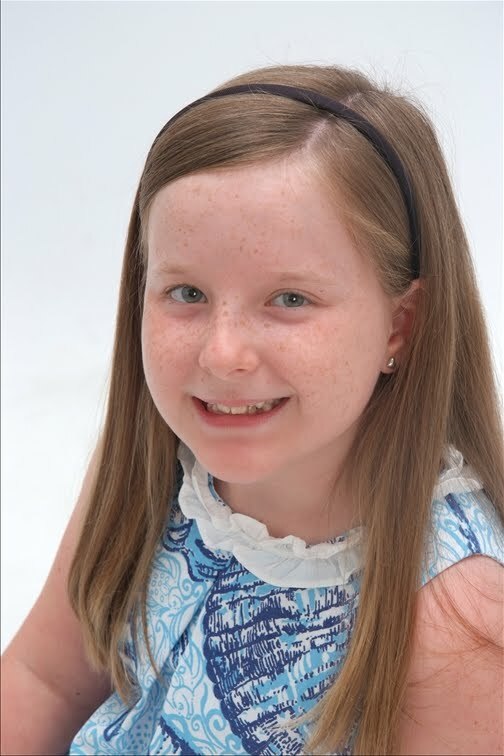 Thanks to Natalia for your fun story and for putting together this fun gift guide! I still have my sock monkey that my sweet Grandmother made me. My little guy is over 40 years old, timeless! What a cute & creative story, Natalia!! I loved it & who doesn't love Sock Monkey! So cute! I too, love sock monkeys. I have one that I got as a going into the hospital gift from TLS, a rainbow striped beanie baby one from a sorority sister, and a sock monkey Snoopy! What a creative and lovely story. Thank you! My nephew had a sock monkey nursery that was absolutely adorable.